Bodega Backpacker Stories: Not all who wander are lost. Unless they are drunk as hell and trying to find a way back to their hostel. The first of a series of guest blogs interviewing our guests called Bodega Backpacker Stories is here! There are very few places in the world which offer as much fun, variety, convenience and affordability as Thailand. 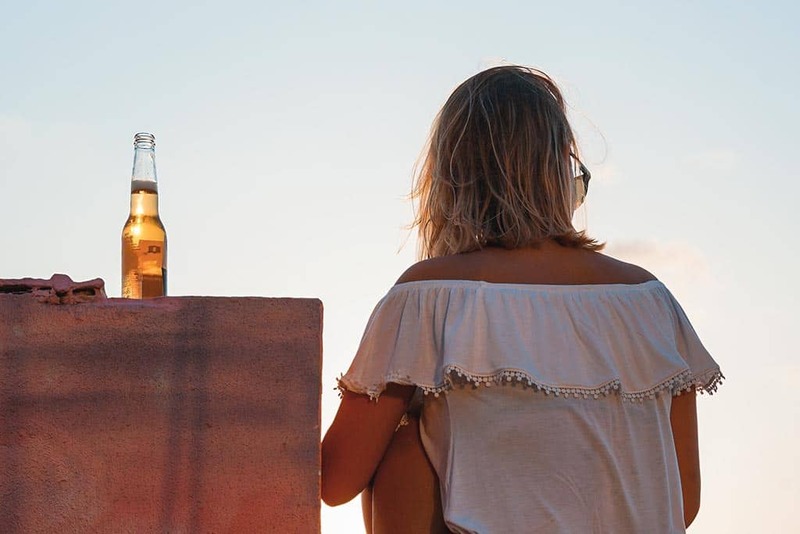 A mecca for backpackers, Thailand is turning out to be one of the coolest spots for people to find buddy travelers with the soul objective of living life to its fullest potential. All said and done, where one chooses to stay can create a lot of difference in what they experience. Being an incessant traveler, I have stayed at a number of hotels as well as hostels in various countries. Honestly, hardly any other hostel can offer what Bodega does. The openness, the friendly smiles and the friendlier games do more than enough to cheer you up during your entire stay. There’s a reason why Bodega Pub Crawls are so famous. An evening of drinking games sprinkled with friendly banter, followed by a night of dancing and partying at some of the best pubs in Thailand- that’s what Bodega has in store for anyone who decides to be a part of their extremely popular pub crawls. I spoke to a few party-freaks, just to understand what made them choose Bodega over other hostels. Elina from Sweden said she did a lot of research before choosing a hostel for herself in Bangkok. An adventurous soul, she wanted to stay at a place where she could intermingle with fellow travelers and at the same time have unlimited fun. After reading truck loads of positive reviews about Bodega, she made up her mind. She was so happy to finally be here and find exactly what she expected! Archana and Ashwin from India also went gaga about how excited they were to be a part of Bodega’s one-of-a-kind party culture. Dancing queen Archana said she felt free, unjudged and liberated. One could spot her dancing her heart out even from a distance. “I can most definitely say that this is the best party hostel that I have ever been to and let me tell you, I’ve been to many”, claimed Ashwin who seemed to be having a great time with a bucket full of joy in his hand. Joey from the US was another happy soul who we met during the crawl. A nomad by nature, he said he thoroughly enjoyed meeting people from every race, creed and region and that was what he was looking forward to. Every time we saw Joey, he was talking to a different person from a different nationality. The party culture allowed him a natural space to socialize and interact with everyone in the group. Ryan and Cameron who we met at Bodega Phuket Party Resort, said choosing Bodega for their stay was a no-brainer as this was the most popular party hostel in Phuket. Once at the hostel, they knew why. 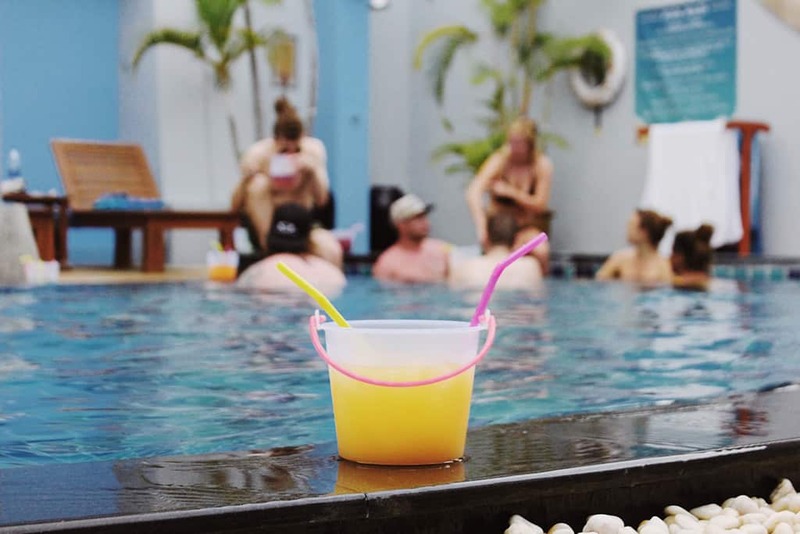 Relaxing on the lounges in the lobby, chilling out at pool parties and hanging out with fellow mates at the terrace bar were a few things that they loved about Bodega Phuket. Can a hostel offer more than just accommodation? After all these interactions, I thought to myself about how a place can transform people. You walk into any hotel and you will see the same kind of people, just behaving differently. Why then, did they seem so much more frank, candid and welcoming at Bodega? Perhaps Bodega is not just a hostel but a culture. A culture that deconstructs and reconstructs you, even if just for a while.